Keep it 100 with the stylish Hundred Headlamp. With 5 different stylized designs and real wood on the headlamp inlay, this headlamp looks good and feels good. The hingeless design to the lens articulation reduces weight imbalance to allow an even more comfortable fit as the battery pack will not slide. The Hundred is powered by 3 AAA batteries (included) and uses a simple button operation to cycle between High, Medium and Low beams up to 100 lumens. 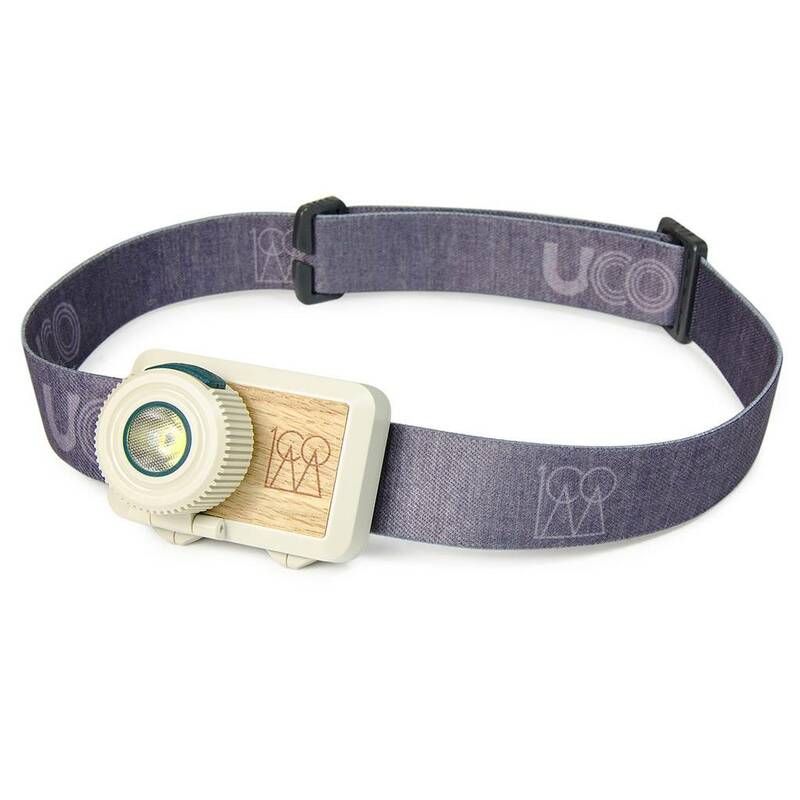 Stylized elastic headband and real wood headlamp inlay. Compact and lightweight design for easy storage and transportation. Designed to keep headlamp close to forehead—reducing weight imbalance—for a more comfortable fit. Optical lens with independent articulation to direct light where you need it. Simple button operation brightness adjustment: low, medium, and high.